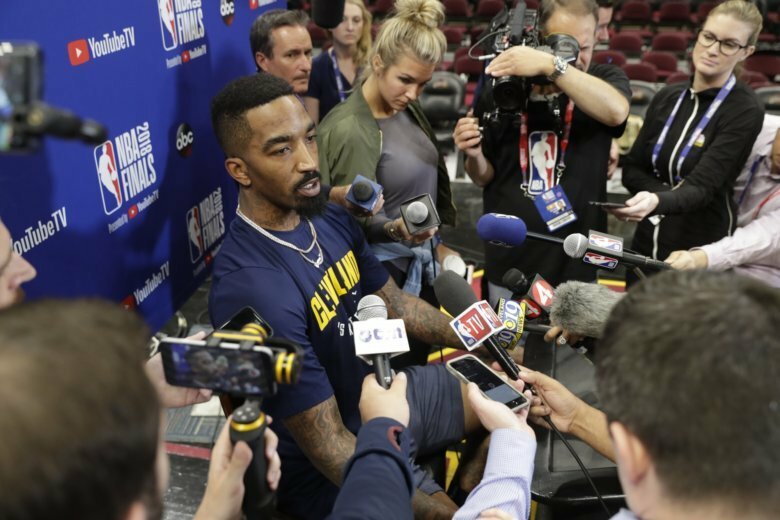 CLEVELAND (AP) — J.R. Smith’s bumpy-but-never-boring stay with the Cleveland Cavaliers is over. Smith’s unhappiness had created another distraction in a stormy season for Cleveland, which is a league-worst 2-13 and has been blown out numerous times. Smith’s departure comes a day before James makes his return to Cleveland for the first time with the Los Angeles Lakers. Smith came to the Cavaliers in a trade from the New York Knicks in 2015. While his play has been inconsistent, he was a major contributor on Cleveland’s 2016 championship team. He made two 3-pointers early in the second half of Game 7 as the Cavaliers rallied to win and become the first team in league history to overcome a 3-1 series deficit. Before the Cavs won the championship, Smith already had become a favorite with Cleveland fans. He seemed to endear himself further to many by remaining shirtless during the team’s victory parade through the city’s streets. However, Smith’s support eroded some during last year’s Finals when he lost track of the score in Game 1 and dribbled out the final seconds of regulation, depriving the Cavaliers a chance to steal a win. Cleveland wound up losing in overtime and got swept by the Warriors.